If the death of a family member was caused by the negligence of another person, a personal representative may institute a Tennessee wrongful death action on behalf of the decedent’s beneficiaries. Generally, the beneficiaries identified by statute receive the compensation obtained in a successful lawsuit. However, there are some situations in which a statutory beneficiary may not recover. In a December 27, 2017 opinion, the Supreme Court of Tennessee discussed how two statutes would apply to preclude a parent who owes child support arrearages from recovering proceeds in a wrongful death case. In the case, the plaintiff and decedent were married and had a son in 2009. The plaintiff left both of them soon after the child was born, but the spouses never divorced. After the decedent died in 2010, the decedent’s mother was awarded custody of the child, and her brother adopted him in 2012. The adoption order terminated the plaintiff’s parental rights, based on abandonment for failure to visit or support him. In 2010, the plaintiff filed a wrongful death action as a surviving spouse. At the time, however, the plaintiff owed child support for four other children, who were unrelated to the decedent. The decedent’s mother intervened, arguing that the plaintiff was disqualified from bringing the action and sought to replace him in the lawsuit. The trial court dismissed the plaintiff from the wrongful death case, based on Tennessee wrongful death and intestate succession statutes, and the subsequent appeals ensued. In Tennessee, the statutory beneficiaries in a wrongful death action may recover damages suffered for their own losses as a result of the decedent’s death, as well as damages sustained by the decedent from the time of the injury to the time of the death. Under the wrongful death statutes, the decedent’s surviving spouse has the right above all others to file the wrongful death action and control the litigation. However, the proceeds of a wrongful death action do not belong solely to the surviving spouse if the decedent had children. Although the wrongful death statutes do not explain how the proceeds are to be distributed, Tennessee courts have consistently held that they are to pass according to the laws of intestate succession. Accordingly, while the decedent’s surviving spouse is entitled to file the action, the decedent’s children are entitled to share in the proceeds as passive beneficiaries. The two Tennessee statutes at issue in the case, T.C.A. 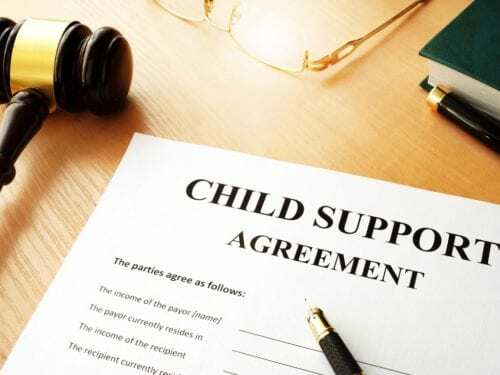 § 20-5-107(b) and 31-2-105(b), addressed alternative exceptions in cases of a parent who owes child support arrearages. After interpreting the language of the statutes in context with the entirety of the wrongful death statutes, the court held that they are intended to apply only to cases in which the parent seeking to recover damages in a wrongful death action is a parent of the deceased child in the case, and the child support arrearage is owed for the support of the deceased child. Since that was not the situation in the case before the court, in which the plaintiff was the surviving spouse of the decedent spouse, neither statute applied. The court, therefore, ruled that the plaintiff was allowed to proceed as the personal representative in the action. The Nashville injury lawyers at Martin Heller Potempa & Sheppard can assist family members in determining their legal recourse after the death of a loved one. We handle a diverse range of legal matters, including wrongful death actions and personal injury claims, family law and divorce cases, and trust and estate planning services. Contact our office today by calling (615) 800-7096 or contacting us online and arranging your free consultation.